Who ever says you can’t have the best of both worlds!? When we moved to our new house we had decided to keep the pool table in our forfeited dinning area. It’s a Great gathering area for my son and entertaining friends and family!! Well, we hosted the holidays this year for the entire family! Boy, did we miss our dinning area, and the kitchenette by no means would fit 10 people, oh my! 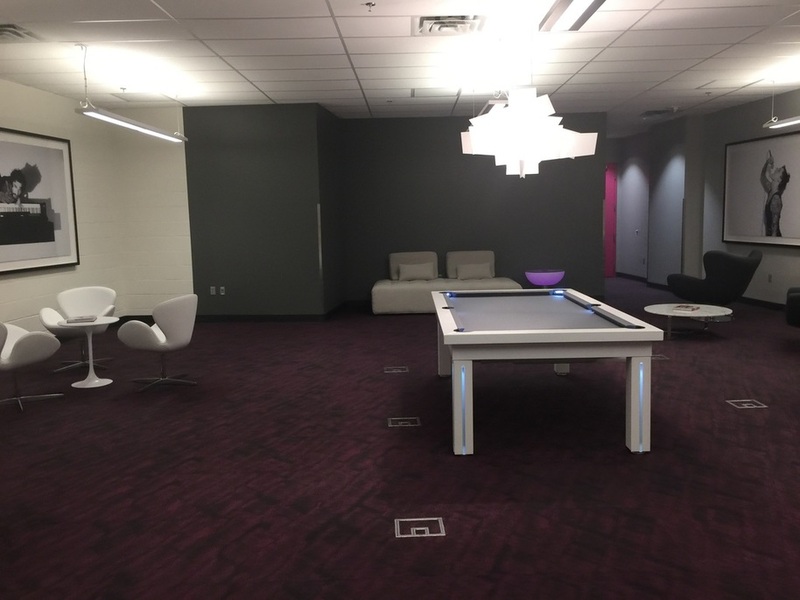 My wife went into action…..research, hunting and blogging only to find Brian Maier from Generation Chic Pool tables!!! One word sums it up, AMAZING! We live in Florida and it was shipped clear from Nebraska! It was a rush of course because of the holidays and he was in contact with us every bit of the way. It was everything and even more than we expected!!! In fact most of the holiday conversation was not about us and how we are all doing but how we could eat our dinner and then play a few rounds of pool afterwards, ha! We sat 10 at the table with plenty of room for our serving trays. Great company, a Great owner and Great product!! Happy New Years and God Bless! Great job… Great table!!! Gold was the perfect color. These guys at Generation Billiards are fantastic! Thanks!!! ​I loved working with Generation Billiards! They delivered a great product and in the short time frame that we needed it in. I highly recommend them!